On today’s Heinemann Podcast, Supporting Struggling Learners. How do we meet the needs of all our students while also meeting the demands of the curriculum? Every learner has strengths, writes Patricia Vitale-Reilly. She goes on to say, upon those strengths is where growth can occur. 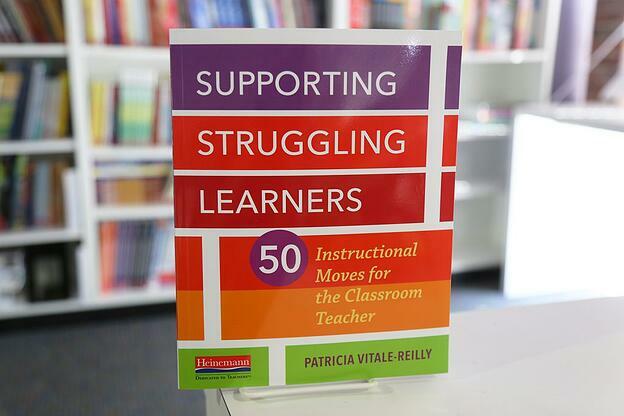 In her new book, Supporting Struggling Learners, Patty outlines 50 instructional moves for the classroom teacher. These moves that can be applied across subjects and grades. Patty walks us through how to make a positive impact on student thinking and learning. We started our conversation on the instructional moves to help make a more inclusive culture in the classroom. Patty: I really believe that the environment in the room is the first move, always. Whenever you're really looking at ___ you are looking at the ways in which you really want to reach your students. And for struggling learners, I think it's really key. Because sometimes there are elements of classrooms that although well intentioned and maybe work for some, might not always work for our struggling learners. So one of the first moves that I suggest is this whole idea of flexible seating and you know recently, flexible seating has really taken off. People are able to create and purchase all these really varied and differentiated types of arrangements within the room and I think that, that's really powerful, I think that, that's great from things like Hokey stools to mats on the floor to crates that they sort of make with comfortable cushions to standing desks to there was bars that could go beneath the desks where you know, students could kind of move their feet, get some of their energy out. I think that's a great move, but I think ideally whether or not you have that furniture, I think flexible seating is also a concept. So what that means is it's really in some ways more metaphorical to what in inclusive culture is and that is that, I need to find a space in this room where I can be my best most confident self. I need to find a space in this room where I can be a learner who belonged, a learner who can you know, work in a variety of ways with a variety of people. So it is a lot about that furniture but I also think it's about allowing your students to find space in the room that's really going to work for them and whether that's flexible day to day, whether I try that out, that I actually talk to students, have them try spaces, reflect on it. I always think there's a teaching structure regardless of anything and that's plan, do, review, right? So, I'm gonna plan to sit here, I'm going to try it out today and then I'm going to reflect on it. So I think for me, one of the most powerful ways to really build an inclusive culture is to make the space workable for all your students and certainly flexible seating is part of that. Michelle: I love how you talk about kinesthetic movement not only as you start the book out in this chapter but throughout the book you mention it, I love that. Michelle: Yeah. You end the chapter with the power of yet and it made me think of a lot of people have said this type of thing, Debbie Miller, Steph Harvey, you know, smart is not something you are, smart is something you get through hard work. I thought the power of yet really, like that's what came through to me when I read that little end of the chapter. Patty: Yeah, and I really do believe that. I think sometimes for our students who struggle, lots of things are hard for them. Lots of things can be hard for them. Lots of things can be hard for everyone, and that's the point that I want them to get and that's why I do believe there's a yet in all of us, and I want them to see it and I want them to know that they too can and are and will be successful. I think that, that's a move that we can all make. I think it's a big life lesson and I think it's really powerful with our struggling learners. Michelle: You have a number of instructional moves in chapter 2 on the power of collaborative learning and building a culture of collaboration in the classroom. You write about the Fishbowl Technique. Can you talk about what the Fishbowl Technique is? Patty: So the Fishbowl Technique to me, well first of all, it's one that's been around for a while and it's one that I think is incredibly powerful for the diverse array of learners in our rooms. So, to me what that technique signifies is this idea that collaboration enhances everyone's practice. Collaboration leaves space for lots of voices. Collaboration leaves lots of space for the neuro diversity that we find in our rooms and the various ways in which learners can support each other and model for each other. I really feel that's you know, from using Fishbowl so much when I was a classroom teacher, to really modeling it in classrooms. I really feel as I said it sort of hinges on just the idea and the importance and power of collaboration, but it's really also very grounded in Bigotski's research of more knowledgeable other. That we really, the world is a social place and social learning really works for kids and social learning works for struggling learners. So in the Fishbowl Technique, what you do is you arrange an inner and outer circle. In your inner and outer circle, you have learners who are doing the work, that's your inner circle and you have learners who are observing the work and joining in to the work in a different way. Most recently, I had been modeling this in a second grade classroom to launch their reading clubs. The inner circle was a group of learners. This was actually a second grade class, an inclusion class, which means that like all classrooms, there was a variety of learners but there were definitely students who had education plans in the room and are students who are mixed in inner and outer circle and what my inner circle was doing there, was really trying out the strategy that I was teaching. What's so powerful about that was that I wasn't modeling the strategy, although that's a great instructional technique, they were modeling the strategy. I referred to them as my inner circle and my outer circle and as my inner circle is modeling the strategy and here they were modeling the ways in which they were going to get their reading clubs going, from choosing the texts that they would read to deciding how they would read them and when they would meet and find time to talk. The inner circle was doing that work and the outer circle was observing, jotting notes, noticing, naming. I was kind of going back and forth between the two. Sometimes what I'm doing, and I think that this is really one of the powerful ways in which this works for all learners especially our students who may be struggling, is what I'm doing is I'm a learner there too, but I'm more of the facilitator. I'm stepping out and letting a lot of this work happen. I'm whispering into student's ears, did you notice that? You know, or great work. I'm mentoring into my inner circle, I'm whispering into my outer circle, I'm calling time outs, and it's really just allowing this work to unfold in a very collaborative way and because everyone has a role, it's really empowering for kids. Michelle: You write about pre-teaching in chapter 3. What do you mean by pre-teaching and how should teachers think about it over the course of a busy day? Patty: This whole idea of pre-teaching is one of those ideas that you know, it's certainly been around for a while. I find that and this goes back to even when I was a classroom teacher too. Believe it or not, it feels like its something hard to envision fitting into our day. Because we ask ourselves, when am I going to do this and exactly what will this look like and how is this going to be different than what I'm going to do with everyone. Why do I need to do this? So what I really try to do is to set out on a journey to explore pre-teaching. Not just the ways that I think are most powerful to struggling learners, which was always my first agenda or the first item on my agenda, but really study in ways that make it practical for teachers. Because at the end of the day, we want these structures to work in the real world. I talk about a few different moves and a couple of them that's I really think work that make it as I said powerful for learners and practical for teachers, the sweet spot between those two things is I think about different structures, I think about that a lot. I certainly do with pre-teaching and I think about different tools. Of course, one of the first things that I think about is one of the best ways to make pre-teaching work is to make it a form of small group instruction or to make it what you're doing during extra help time. So rather than work on the mindset of, oh I'll go back and remediate, I'll go back and reteach, which of course we wan to do. Actually suggesting that we'll have more power with our learners if we put in on the front end. Rather than reteach you something, I'm actually going to have a pre-teaching experience with you. I'm flipping that definition of extra help time to be a pre-teaching experience and I'm envisioning that whenever I do small groups, and if you've got that going, you too can implement pre-teaching. I think about those structures and then I certainly think about materials. There's a lot of great ways in today's world to bring in digital resources. So in a lot of pre-teaching, I'm bringing in visuals, Brain Pop videos, Kahn Academy, great hashtag on Twitter Authentic Res #authres. Just authentic resources that are for students who are perhaps learning a language who might or who might just need visual support. It's a great tool and it makes pre-teaching really powerful and practical. Michelle: I just want to say I loved the quote at the end of that chapter from Justin Minkel, "We can give this child the rare experience of being the kid who gets it first, who helps other kids figure it out, whose ready for the answer the moment he hears the question." I thought that was so powerful. Patty: So powerful and it's the exact reason why I included it. It was so powerful and when I was doing a lot of this pre-teaching work in the last few years, I'll never forget one student, third grade boy Jason, where we did some pre-teaching with him and he was the struggling learner who never participated. When I say never, I mean like the unequivocal NEVER. We did some pre-teaching with him. It's actually the lesson that I highlight in Move 18. It was a different child was sitting there. He was the one who knew things. He was the one who had a lot to offer and although I believe Jason always had new things and had a lot to offer, it was the pre-teaching that was really enabling him to be confident and comfortable in our lessons. Michelle: Patty, you give us a lot of useful techniques on focus, study skills, communication. Can you share your thinking on how teachers can tackle these moves? Patty: I felt that way Michelle, that I really wanted to tackle learning and study skills and communication skills. Because the truth of the matter is, is that those are seminal life skills. They simultaneously are in a general way but in a way that I think reflects some of the traits that we see with our struggling learners that depending on their learning difference, they might actually have some challenges with study skills, learning skills and communication skills. I felt I really needed to address that. I think in my teaching, this has been a major focus of mine. Back in the day, we called it the learning to learn skills and I knew how profoundly positive that was for my learners, not just for the discipline or the activity or their project we were working on but for really developing those key life skills. I think for me, regardless of which of those moves and you named many of them that we might be talking about, I would say that there is one thread that really goes through all of those moves. It's this, it's that first of all, we have clarity over what the struggle is. Simultaneously, we have clarity over the learners strengths. Because when I know those two things, I can really think about learning work to my learners in really profound ways. So, I know what your strengths are, I know what your next steps need to be and I go through as I said, sort of a process here. 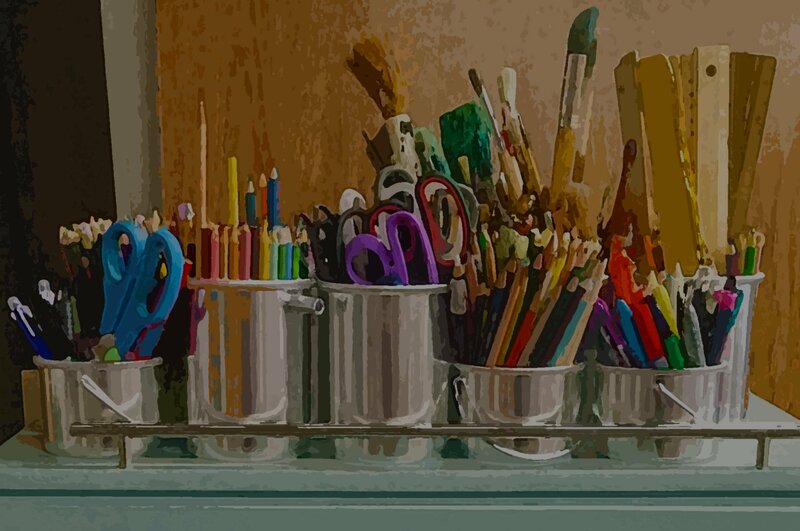 Because I think that there are a lot of tools that struggling learners can use, but what I sometimes see happen is the tool is given to the learner but the learner is actually not yet equipped to use the tool. So, I see blank planners, and I see study guides that students actually have a hard time navigating. So I think that it's about if the move has to do with the tool, it's about know the challenge, know the strength. Introduce a tool, let the learner see the tool, teach some things about how to use the tool. For example, it you're going to introduce a study guide, show students how to navigate it, show students how to break it down, show students some particular learning strategies such as like read, cover, say out the answer, go back and repeat. Some very specific strategies. Breaking it down, those timing skills with studying, I find that a lot of our students in general, but in particular students whose challenges might be these learning and study skills, they vastly underestimate how long it's going to take them to do something. I need to help them navigate that, I want them to work on that. It's going to be this know the challenge, know the strength, find the tool, introduce the tool, let the learner interact with the tool, reflect on the experience and then ultimately at the end, I always believe it's allow the learner to use the tool that best suits them. That's one huge point that I make in the note-taking tool. Actually should be in the note-making Move, Move #32. I really think that there's a ka zillion different types of note-taking methods and tools that we can use. But at the end of the day, do you want to know the one that works Michelle? The one that works for you, the one that works for you. So I think for struggling learners need time to be introduced, grapple, play around with it, reflect on it, and then ultimately at the end of the day, find the tools that are going to help them with these study skills and to be able to navigate studying and learning well. Michelle: You write about home support and some of the ways teachers can connect with parents. Why is this important Patty? Patty: Interestingly for me Michelle, it's also a question about why I even wrote this book. So part of my experience in life in my own personal life, and in my teaching life has been that I have had experiences with struggling learners. I tell a story in the introduction of the book that I have an older brother who is learning disabled and we were learning to read at the same time even though he is six years my senior. That profoundly impacted the course of my life I truly believe. I know what it's like, what a home life is like when you have a student who may have challenges or struggles and how there are definitely things that parents and guardians and family members can really do to support a learner. I think that sometimes this feels hard on both ends. I wanted to share some of my experiences both again being in the home but also being a teacher who's trying to support the entirety of the child, the whole child, that real wrap around approach that you don't just you know, live in the world six and a half hours a day while you are in school. You have other environments in which you exist. I felt like it was important to just share ways in which parents and teachers can be on the same page. Ways in which we can give parents some really simple and really practical strategies that I think really work for our struggling learners. Keep their days positive all around. Michelle: Towards the end of the book, you provide an if/then format. Tell us how this helps the teacher and talk us through how you set this chapter up? Patty: I really felt like there are certain instances that are going to come up in a teacher's life. They came up in mine as a teacher and they come up in the lives of the teachers that I work with every day. That really can go very positively if you have some tips on how to navigate them well. Although there are a lot of if/thens that happen in our teaching and learning lives every day, the three that really stand out to me are when and if you feel that this teacher needs support outside of your classroom, how you navigate that. I definitely believe that this whole book is I'm speaking, I think there's a lot in it for all sets of teachers and specialists, but I'm really talking classroom teacher to classroom teacher. I believe that there are so many moves that you can do within your own classroom. But I too know that you might need more support and I too know that a learner might need support outside of the general education classroom. If you need to navigate that, I've got a lot of tips in here. Part and parcel to that is this whole idea of monitoring progress. So, if a child is in a process and schools have different names for the process. Schools have different names, an RTI process, a CSE, CST, whatever the name is in the school in which you teach. If you're navigating that, where a child is being given some extra support interventions, teaching moves that you're implementing and you need to monitor that closely, how do you really do that in a way that's practical. I've lived that, I've been there, so I wanted that to be part of the if/then. Then of course as I've said, part and parcel to that as well, is if you have the absolute beauty of having another adult in the room to support you, whether it's a co-teacher or an instructional aide, how to navigate that? I really kind of breakdown those three dimensions and the first thing that I try to do is to provide the teacher with a way to navigate the child's study team, the school's support team process. I give them a step by step plan for that and I lay out some assessments that I think are great "data points", which is typically the language that schools use, they want to see data, they want to see data. I get that, I'm a data gal, I can live with that. But I also really and truly know and this is true of all student learning but with struggling learners especially, is that I have a teacher gut and I know what's happening with these students. I'm trying to find ways for teachers to quantify in a way that is and appears like data because I think that it really is. I want teachers to quantify their everyday interactions and as I said in simple and practical ways. So, I really kind of build it step by step and what I've done is just sort of opened up my files if you will, to all the different checklists and forms, progress monitoring tools, conference notes, planners. All the different ways that we can navigate bringing a child to a team, keeping progress in ongoing notes on a child and then last in that chapter I have the co-teaching model. Because that I have lived personally and I've seen in classrooms, some of my favorite work to do with the schools that I'm currently working with is to really unpack those co-teaching models. It's the power of two. There are two teachers in there and there are a variety of ways in which you can really maximize that power of two. So I really lay out those different co-teaching models, what the benefits are and when you might use them. Michelle: You end the book with some final thoughts and your this I believe statements. What thoughts would you like to end this podcast with? Patty: I ended the book with you know, it's called my final thoughts and as you said Michelle, it is a [inaudible 00:18:46] I believe. I love this I believe, I've loved it back from when it was on NPR and thisibelieve.org. I think it's one of the most powerful things that we can do as a teacher is say I think that when we are so clear about what we believe, then it is so profoundly helpful for us in our everyday lives and our everyday teaching lives. I really believe in the transformative power of yet and I really believe in the first believe statement that I have there and that is that every child has the right and the capacity to learn. I believe that in my heart and soul. I really believe that there are moves that we can make as classroom teachers that we are so important in these children's lives, they are so important in our lives and I really believe that we can bring them moves that are going to be powerful for them. I really believe the best way to do that is to understand that all learners have strengths and when we know those, we are so equipped and well set to really support them and move them forward right? It's the old Don Murray, you need to know ten things about a learner before you can teach them. I really and truly believe that. I believe that relationships matter. At the end of the day, yeah, we have curriculum and we have standards and we have units and we have all that great stuff, but we don't teach those things, we teach students and so relationships matter. I want for all the work that I do to really be hinged upon that. I believe that inclusion, which is terminology that's used to name programming or places. My belief is it's a mindset, inclusion is a mindset that if you believe as I do that all learners need to be included and inclusive of this learning world, that it's going to lead to you some pretty powerful moves for struggling learners. At the end of the day, classrooms, there are workshops and there are laboratories and we're all different and they should be messy and fun and what I like to call organized chaos. When we embrace this, I think we create a world in which our struggling learners really, they thrive.